Sarah Nader- snader@shawmedia.com Hampshire's Matthew Kielbasa (right) during football practice at Hampshire High School Thursday, September 24, 2015. 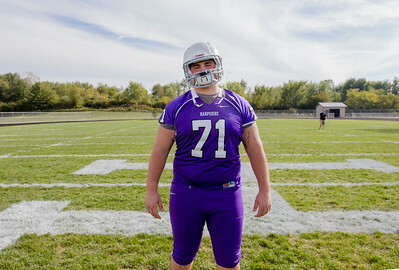 Kielbasa was bullied as a kid and is now one of the best linemen in the area. Sarah Nader- snader@shawmedia.com Hampshire's Matthew Kielbasa during football practice at Hampshire High School Thursday, September 24, 2015. Kielbasa was bullied as a kid and is now one of the best linemen in the area. Sarah Nader- snader@shawmedia.com Hampshire's Matthew Kielbasa kicks a field goal during football practice at Hampshire High School Thursday, September 24, 2015. Kielbasa was bullied as a kid and is now one of the best linemen in the area. Hampshire's Matthew Kielbasa during football practice at Hampshire High School Thursday, September 24, 2015. 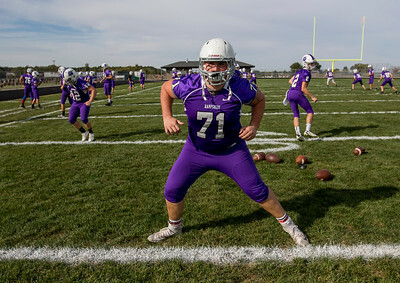 Kielbasa was bullied as a kid and is now one of the best linemen in the area.